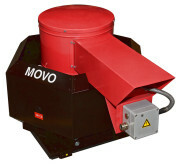 MOVO.H is a roof radial ventilator with vertical air discharge designed for discharging hot air, smoke and fire gases. 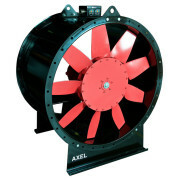 All fan elements are made of a compact steel structure. The outer casing is made of aluminum sheet. 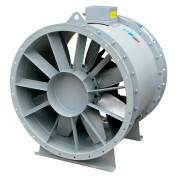 The MOVO.H fan motor has been mounted in an insulated casing outside the stream of flowing air. A tunnel for cooling the engine with external air was built into the housing. 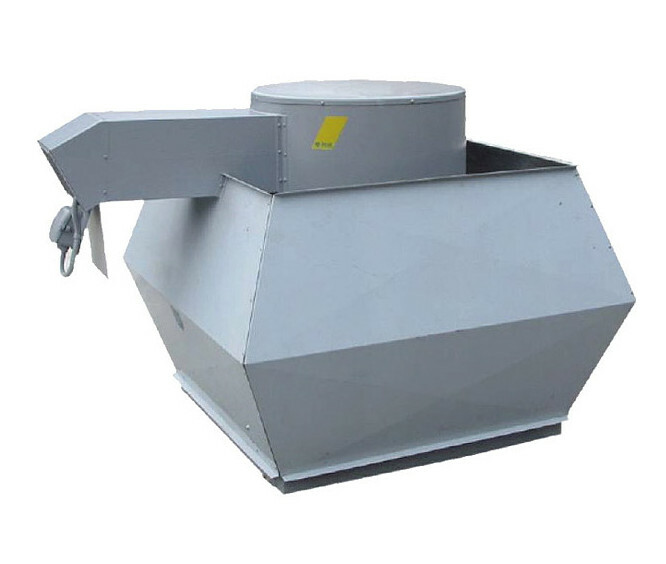 Thanks to this, it is possible to transport medium with a temperature up to 200 ° C.
Impeller balanced dynamically and statically in accordance with ISO 1940 in class G 6.3, with steel blades tilted backwards. Installation of the fan outside the fire zone. 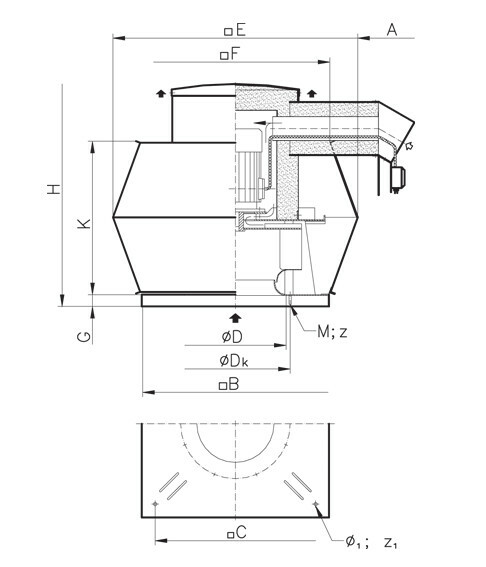 The drive in the MOVO.H model is realized by an asynchronous one- or two-speed electric motor with a built-in PTC winding temperature sensor. It is possible to regulate the speed of single-speed motors by means of a frequency converter equipped with a sine filter. * – sound pressure level measured at a distance of 4 m (free outlet), value in the table given for the highest efficiency point.